This past fall I had several precious opportunities to speak with the exceptional Caribbean-Canadian poet, NourbeSe Philip. On the first occasion, we were riding in the rear seat of a vehicle en route to the venue where she would be performing from her innovative masterwork Zong! I told her that I was taking some time to focus on writing, admitting that I was troubled that, at fifty-seven, I only just beginning to try to find self-expression and was having trouble sifting through a mess of accumulated personal experience. She smiled and said, “Oh you’re still young.” She went on to say that, as far as she was concerned, novels might be the sort of heavy-lifting suited to younger writers, but that poetry required a significant measure of life-lived perspective, adding that Thomas Hardy, after whom she named her son, didn’t write any poetry until he was finished with fiction. I don’t write poetry, but I think that, at best, I aim to write somewhere in the intersection between poetry and prose. The more I focus on writing, and the older I get, the more I find myself turning to poetry with a new hunger and intention. I am drawn to both the experimental and the expressive elements afforded by the form. And although I’ve enjoyed and deeply admired so many of the works—primarily shorter contained collections— that I have encountered over the past year or so, something different happened with Brink, by Adelaide-based poet, Jill Jones. Now I don’t want to speculate on age, with only an author’s photo to go by, but I did sense a degree of generational comfort in my engagement with her poetry. And by that I simply mean that I sensed I was in the presence of a poet who has come to understand, as I have, that questions are easier asked than answered, and that observations are often best left open-ended. This is where the ability to continue to marvel at life’s small wonders crosses weary wisdom and the understanding that words are at once necessary and inadequate. The poems in this collection, which range from the lyrical to the linguistic and experimentally playful, examine the emotions, images, and concerns that reflect an awareness of place and of the passage of time on an increasingly small planet. In an interview with Tony Messenger, Jones admits that this book which had, at the time of their conversation, just been released, “covers a lot of ecopoetic territory, as the title Brink would suggest.” Natural elements—earthy textures, weeds, leaves, sky, clouds, birds, waters—are all recurring images. The fragile state of the world’s climate is a longstanding concern for her. But this collection is varied in practice and purport, “a big mix of detail and dislocation, images and word play, a lot of play, actually.” Indeed, these are poems that demand to be read, not just for the alliteration, and the slippery shifting of vowels, but for crunchy crispness of the language and the unlikely juxtapositions. clouds without formality, empty grey branches. another animal listening into the air. Each evening practices its street repertoire. Night blurs lines against my gate. Tonight the moon is nearly naked. with prefab thought rather than thinking. I’ve brought no conclusions with me. within sight of what might happen. I’m running with a crazy kind of make-do. The new plants waver in the cold evening. in rooms. Is there a knack to it? into the trees. I know they’re there. I know it doesn’t exist. I am a source of virtual violence. What senses are, I’m not sure, or how many. the way the air is. an account explained in columns. Perhaps the essence has dissolved, become paler. whether to watch something else drink it. to write back the damage. Looking for ways to write back the damage. Looking for ways to be. Mid-way through this collection I encountered a poem that, in the moment, spoke to me of conversation about a mutual sense of groundlessness that a faraway friend and I had shared. I immediately had to photograph the page and send it to him. That is poetry that speaks. 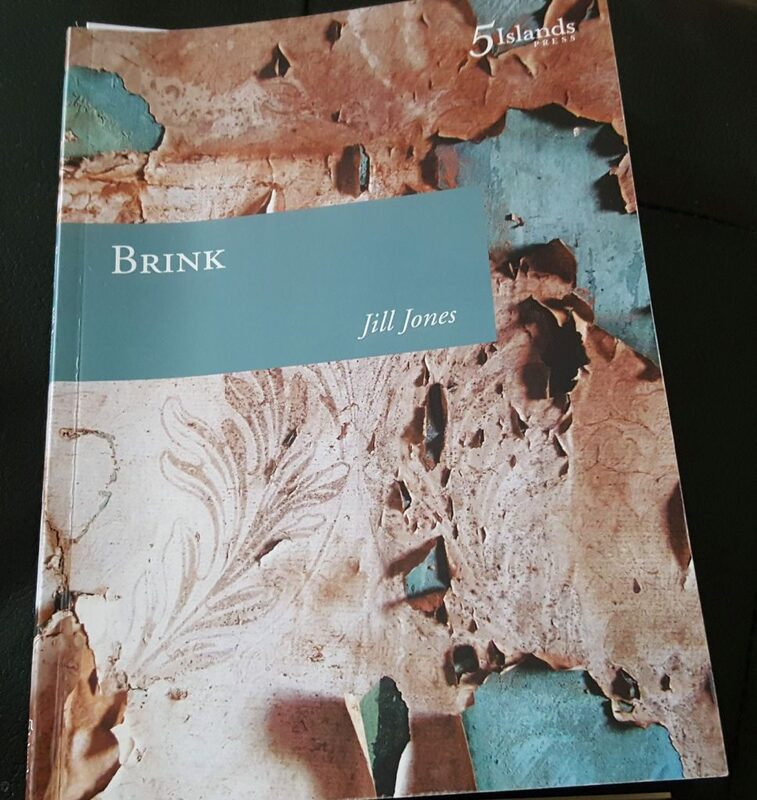 Brink by Jill Jones is published by Five Islands Press. Of course, in Murnane’s mental terrain the line between fiction and events actually experienced is a slippery one, but Border Districts reads like a meditation on a lifetime of traversing imaginary landscapes as a reader and writer famously adverse to physically travelling beyond the confines of his home state of Victoria, refracted through a playfully multi-toned meta-fictional prism. This is a novel about perception and memory, and the degree to which we can ever hope to grasp the contents of our own minds. More critically it’s about the way our experiences and our experiences of our experiences are inflated or telescoped with the passage of time. 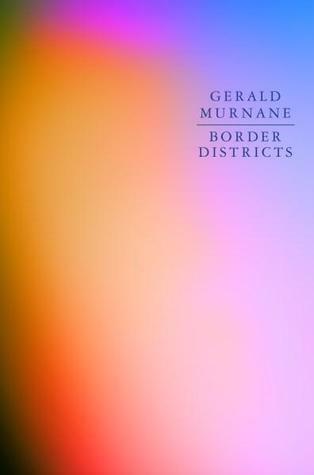 The narrator of Border Districts has relocated from a capitol city to a small town near the state border, echoing a similar move made by Murnane a number of years ago. He has not entirely shunned the city, he makes several return trips to visit friends and family, but his stated goal in moving to this remote place is to spend his last years focusing on the images, emotions and words that have stayed with him over time, “guarding” his eyes, as he puts it, so that “I might be more alert to what appears at the edges of my range of vision.” Anticipating the essential, fragmentary quality of this mental inventory he embarks on a meticulous effort, paragraph by paragraph, to trace the connections from one recollection or set of recollections to another. The result is a digressive internalized odyssey. Perspective shifts from first to third person for a time as the book-hungry boy approaches the remembering man. Uncertain boundaries exist between recalled events and the fiction writer (and reader)’s inclination to wander off on paths not taken, to imagine what might have been, sketch out potential storylines, flesh out characters that could have existed, and step out from the shadows of possible unlived trajectories to anticipate a meeting of minds on the open plains of a mental landscape. Idiosyncratic sideways cognitive processing is acknowledged, examined, and entertained. But the challenge with exploring the way our minds work is that we can never clear the workspace, step back from the stage. We are always in our own way.
. . . a coloured pane better reveals itself to a viewer on its darker side, so to call it; that the colours and designs in glass windows are truly apparent only to an observer shut off from what most of us would consider true light—the light best able to do away with mystery and uncertainty. The paradox, if such it is, can be otherwise expressed: anyone observing the true appearance of a coloured window is unable, for the time being, to observe through the window any more than a falsification of the so-called everyday world.
. . . what I missed when I looked at the photographic prints was the meaning that I had previously read into the glass. And if I could give credence to such an eccentric theory, then I might go further and assert that I saw in the glass part of the private spectrum that my eyes diffused from my own light as it travelled outwards: a refraction of my own essence, perhaps. As he makes his way through a range of remembered images, experiences, and feelings, obscured with the patina of time, he is interested in what details he does recall. What he has forgotten, if it does not resurface on its own by association, is of no regard. He is keenly aware of his age and fascinated by the memories that have persisted, with a measure of intensity, for thirty, forty, sixty years. The narrator’s associations and meanderings are unique to him, but they reflect our own idiosyncratic mind loops—those layered networks of connections constructed through exposure to art, literature, landscape, life experience—which increase in depth but become more firmly attached to our specific pivot points or mental signposts, as we get older. I have come to this book midway through my sixth decade (as frightening as that sounds), younger than Murnane and his alter-ego, but close enough. I come to it as a writer interested in capturing his perceived experience, rather than biographical detail, and inclined to believe that we only have the ability to know what we think we know, a through-the-coloured-glass perspective at best. Border Districts is an older writer’s reverie. It dips back to childhood and adolescence, marriage and parenthood, and spins off into realm of possible lives unlived. There is something to greet a reader at any point in life, but I wonder what my twenty-eight-year-old self might have found. What I do know is that this novel entertains the kind of questions about memory—about the feelings, colours, and images that linger ever “on the edges of my range of vision”—that occupy me more and more with each passing year. 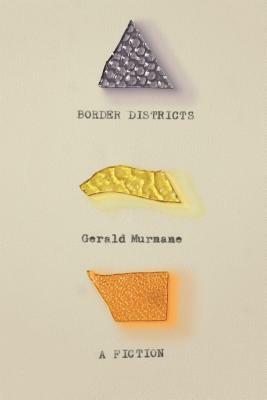 Border Districts by Gerald Murnane is published by Giramondo Publishing in Australia. It is now available in North America through Farrar, Straus and Giroux. Once again, my attention turns to a work of contemporary Australian poetry, and this time it’s a remarkably gritty, often grisly, exploration beyond the raw edges of physical and emotional endurance. Embodiment. Disembodiment. Lyrical evisceration. 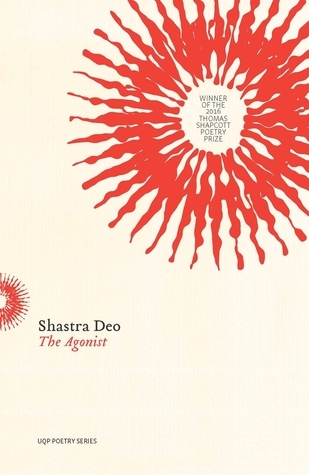 Evoking characters and imagery drawn from diverse, seemingly unlikely sources—anatomy textbooks, World War I poetry, a scout manual, boxing, entomology, ichthyology, divination, tarot cards—Shastra Deo’s debut collection, The Agonist, is an impressive, unforgettable experience. Like a sucker punch to the gut. The narrators that move through these poems—the voices Deo borrows or inhabits—cover terrain familiar to poetry. They speak to pain, love, loss, damage, healing. But they engage with the world at a visceral, cellular level. Their words work their way into and through the hollows of memory, exploring what slips though the passages of the brain, examining what the muscles retain and imagining the intersection between reading the past and foretelling the future. So what does that entail? The Agonist is divided into three sections, each of which opens with an illustration from Gray’s Anatomy. Many of the poems in the first section deal with relationships, familial or romantic, employing surreal thaumaturgic, and anatomical imagery. You count the notches of his spine. into the thin membrane of his lungs. and curl up inside his ribcage. You want to know what he is inside. the anomaly that let him love you. You want to be warm again. In my experience of this work, which is of course, all I can honestly speak to, The Agonist is a collection in which the sound of the words and the impact of images are central, the point from which a narrative emerges and takes form. These are not autobiographical poems, for the most part. Nor do they read like “stories” so much as they remind me of paintings or photographs out of which vignettes have been abstracted with vivid, scalpel-sculpted, incantatory language. Reading this book has left me with the sense of having spent time in a gallery. Attending a deliriously disturbing exhibit. Shastra Deo was born in Fiji and raised in Melbourne. She presently lives in Brisbane where she is pursuing a PhD in Creative Writing. The Agonist is published by University of Queensland Press and, as ever, the indefatigable Tony Messenger has a review and interview with Shastra on his website. A simple statement, but one that instantly made sense. Poems are experiences. Rilke goes on to insist that everything the poet observes, everyone he or she encounters becomes part of the potential material for a poem. I have read a few highly praised poetry collections recently, typically by popular younger poets, that seemed to be exploiting emotional intensity without sufficient substance. By the end of a short book I tend to feel a little bludgeoned by the sameness and relentlessness of the imagery. I find myself wondering what the same poet might be like with just a little more life to draw from. Experience. And so to my first review of the year, which happens to be the last book I finished in 2017. 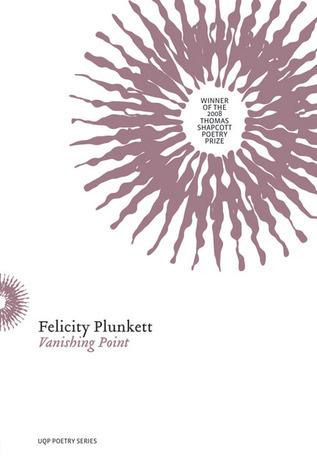 It is a collection of contemporary poetry and, once again, it’s Australian. David McCooey’s Star Struck is another book that came to my attention through a review and interview on Tony Messenger’s website. What initially drew my attention was a very immediate and personal connection. I was intrigued by the fact that one of the sections was inspired by his own encounter with a life-threatening medical event. Like McCooey, I have spent time on the cardiac ward and, whether the circumstances differ or not, there is nothing quite like heart trauma to upset your fragile equilibrium. To this date, I have not been able to write about my own experience, much of which is forever lost to my memory. And so I was curious to see where he would take his own explorations. Of course, I also found much more. that it sounds like your voice. Literary references appear throughout this work, his cardiac patient turns to Calvino, Muriel Spark and Tomas Tranströmer, while Georges Perec-style constraints shape a simple domestic scene; but since McCooey is also a musician, it is no surprise that he delights in incorporating characters and themes drawn from popular music into the eighteen dramatic monologues that comprise the third section of Star Struck, “Pastorals.” Here he takes on the voices of artists like Joni Mitchell and James Morrison, imagines scenes involving rock stars, music fans, and even peers out of the eyes of a caged primate watching a curious tailless creature in a poem with the Peter Gabriel-inspired title “Shock the Monkey.” There is a restrained confidence in these resulting mini-portraits that shift effortlessly between male and female speakers, taking their cues from music, musicians, movies, along with classic poetic sources, to give voice to those moments in life marked by association with an artist or piece of pop culture. overdone things a little by going out that afternoon. about to lie down, when something caught my eye. The small glass owl on the windowsill had been moved. Sometimes serious, sometimes satirical, Star Struck offers much to enjoy. Unsentimental, but attentive to the nuances of character, McCooey highlights the passions, regrets, and familiar associations that bind us in this accomplished collection. 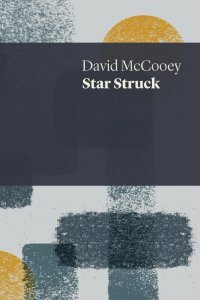 Star Struck by David McCooey is published by UWAP, the poetry series of UWA Publishing of the University of Western Australia. Although I’ve never been a stranger to poetry, I have read (and acquired) more this year than ever before. I have even, cautiously, attempted to write about some of the shorter collections that have resonated with me most strongly. However, whereas the more I read, the easier it is to articulate why some books—even a couple of those by the celebrated young poetic stars of the day—fail to win me over, I am often at a loss to write with confidence about the collections that draw me in, hold my attention, and continue to call me back. If there’s a moment when the proverb that likens offering unjustified criticism to throwing stones seems especially apt, I can’t think of a better one than this: my attempt to gather my thoughts about Glasshouses by Australian poet, Stuart Barnes. And yes, I know I am twisting the intent of the original wisdom, but I am slowly learning enough about poetry to be increasingly aware of what I don’t know. I read this book through, listening to the rhythms, enjoying the wealth of rural and natural imagery, the sensitivity to the nuances of familial and intimate relationships, and the recognizable cultural references. And then I hit the detailed Notes at the end of the book and discovered what a cento is (a patchwork of lines taken from the work of other poets), and learned that some of the poems sample or rework other texts, or incorporate very specific structures and form. Tony Messenger’s interview with Barnes further confirmed my suspicion that I was missing entire levels of structural significance and poetic discipline; an awareness that is at once exciting and intimidating. If one stops at superficial impact is that enough? What does it mean to enjoy a poem? If a line that catches me short in a cento actually originates from another work, who owns the power? The poet who crystalized the image, or the poet who re-envisions it, a jewel among other salvaged (and fully credited) jewels? Or—and I should hope this is correct—both but in different ways? At the same time, returning to the closing poem in the collection, “Double Acrostic,” one of my favourites, after taking a moment to refresh my memory (again) about what an acrostic poem is (words or names are spelled out through the first—and if double, last—letters of each line), I found it thrilling to re-experience the poem on two levels, appreciating the beauty and the precision of the language anew. I adore writing in form, be it fixed or one I’ve altered or one I’ve conceived; when writing in form I feel as if I’m at my most creative; I feel liberated, not constrained. But, of course, the true test is, do his poems work for the casual reader? I would be inclined to think that form, if it is effective, should function beneath the surface—neither obvious nor necessary for the enjoyment of the piece. After all is there only one way to understand a poem? Poetry is, ideally, not written from the top down. A poem is not an intentional exercise to illustrate the universal by forcing specific images and allusions; the poet enters the process of writing to see where it takes him or her, and the reader has to feel comfortable to do the same. Or perhaps I am tossing stones after all. And so, to the reading. Glasshouses is a collection that feels intensely intimate and personal, in the sense that Barnes seems to be engaging directly with his reader, sharing his love of the poets who have guided him, directly or through his careful reading, drawing inspiration from his family and from his own experience as a gay man, and openly riffing on the influence of music and pop culture. The wide range of voices that emerge, together with the variety afforded by his delight in structure and form, allows for a reading experience that never falls into tired and predictable patterns. There are misted melancholic pieces, and poems that explode in loud, energetic bursts. 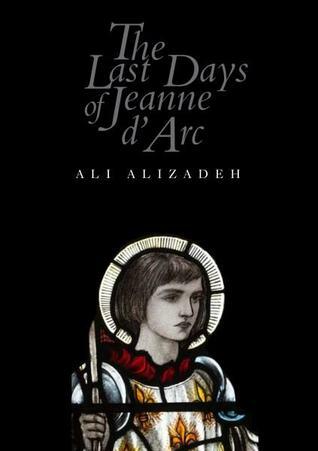 In short, this collection is so much fun to read that I can easily imagine myself returning to its pages again and again. A fish always stinks from the elegy down. 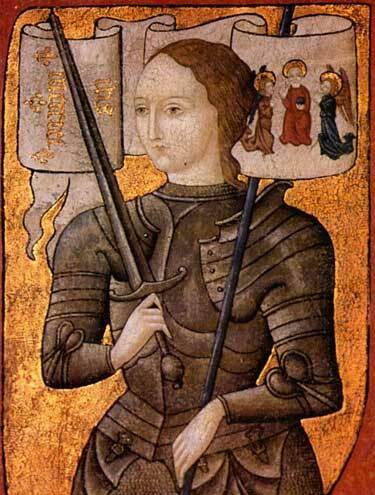 Hell hath no fury like a metaphor scorned. The senryū does not change its spots. You can’t get blood out of a trope. Love of the couplet’s the root of all evil. Procrastination’s the thief of metre. Nothing is certain but stress and narrative. The darkest stanza’s before the dawn. Ah, yes, but fortunately I have a copy of Glasshouses to wake up to. 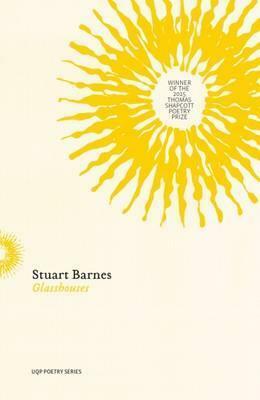 Glasshouses by Stuart Barnes is published by University of Queensland Press.